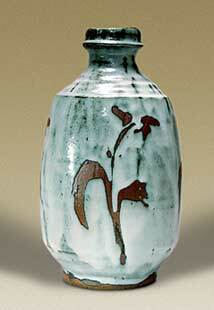 Dodd bottle vase - 11½" (292 mm) high. Stoneware, beaten square. Ash glazed, with wax resist design.